Round china plate with illustration of "Rotorua New Zealand" (showing the BathHouse). Black line around rim. 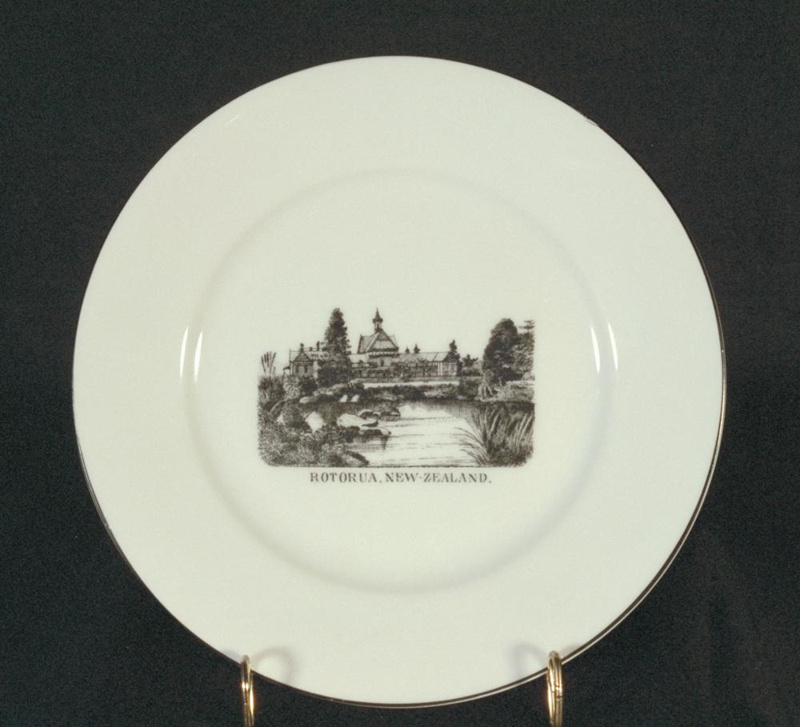 Royal Sydney China. Made in Czecoslovakia.